Collecting personal data through the popular networking website Facebook is a piece of cake. At least that’s what the BBC tried to prove. And they succeeded… Using a small program it’s easy to list private data that other users have not decided to share. Making your personal data only visible to direct friends is not prohibiting the application from getting all your personal information. It’s clear all this information can be misused to close a loan, apply for credit cards and so on. Twitter is a so called micro-blogging service that allows you to share your current activities with the rest of the world. It’s a very easy to use platform and many thousands of users suffer from a Twitter addiction. You can share your activities, thoughts, reflections, ideas, … using the Twitter platform itself, but also through instant messaging, SMS and other applications. The main idea behind Twitter is giving an answer to the question “What are you doing?” in 140 characters or less. Now there is a valid measurement: WTFs/m. Too much positivity on YouTube ? Post a negative comment ! This guy really seems jealous of all the positive comments on the weird videos sometimes posted on YouTube. Continue reading Too much positivity on YouTube ? Post a negative comment ! Posted on 24 January 2008 Categories All, Online Stuff, ViralTags youtubeLeave a comment on Too much positivity on YouTube ? Post a negative comment ! 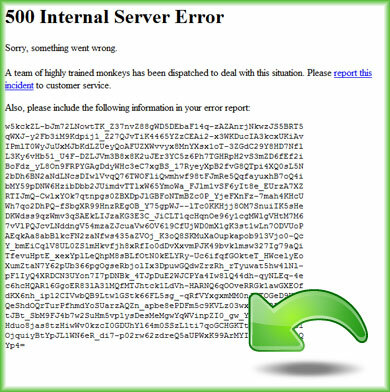 Yesterday while browsing on YouTube I ran across a 500 Internal Server Error. Never happened to me before on YouTube, but I didn’t mind. The YouTube 500 Error page seems to contain a funny message, and if there is something I like it is funny errorhandling. A team of highly trained monkeys has been dispatched to deal with this situation. Please report this incident to customer service. And that reminded me of something I learned when I started SEO : one of the first things you should implement when setting up a new website are user friendly AND search engine friendly errorpages. Especially the 404 Page Not Found error page is one that should be perfect. 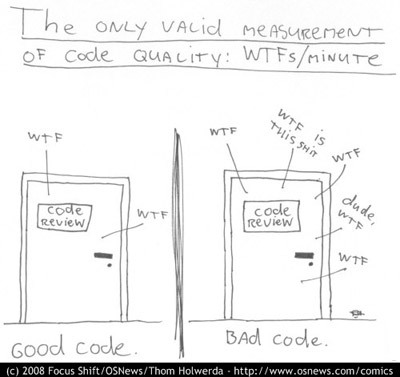 For the search engines it should return a 404 status code. For the users it must contain a clear message that says their browser asked for a non existing page and they should be able to click through to the home page or search for another page. You can find more on The Perfect 404. Nice viral campaign: USBwine. Choose your favourite wine, plug in the USBwine and enjoy ! I was one of the “lucky ones” to get a new laptop at work, unfortunately it had Windows Vista installed on it.